A look at the best antidepressants for anxiety, over-the-counter anxiety medications, and more. A recent study of patients with depressive and anxiety disorders who were hospitalized for inadequate therapeutic response, showed that a little less than 50 percent of patients adhered to their medication regimen. People who struggle with feelings of anxiety frequently turn to medications to help ease their symptoms. However, the large number of medications and their varying characteristics can sometimes make it challenging to find the one most likely to restore normal mood with a minimum of side effects. We asked a Massachusetts General Hospital expert to provide an overview of the major categories of the best antidepressants for anxiety and explain how they differ. Physical symptoms, such as shortness of breath, lightheadedness, dry mouth, pounding pulse, gastrointestinal upsets, or muscle tension. An occasional brief period of severe anxiety might be helped by supplements and over-the-counter medications, but if you have serious symptoms on a regular basis over a period of months, and especially if these symptoms cause acute distress or become disabling, consider seeking a professional assessment. Some anxiety symptoms may be related to factors that can be corrected—a medication, a medical condition, or dietary factors, such as too much caffeine. Complementary medications might be helpful for short-term bouts of anxiety. Examples of these over-the-counter medications include inositol, a molecule similar to glucose that is derived from certain plants, and herbal supplements, such as valerian root, passionflower, lemon balm, and chamomile. Selective serotonin reuptake inhibitors (SSRIs) are the first line of treatment for the most common types of anxiety disorders, such as generalized anxiety disorder (GAD), panic disorder, social anxiety disorder, phobias, and post-traumatic stress disorder (PTSD). They are considered best at addressing symptoms, with a minimum of side effects. Examples of SSRIs include Prozac, Paxil, Celexa, Paxeva, Zoloft and Lexapro. All work by changing the balance of chemicals called neurotransmitters in the brain. Side effects may include: nausea, restlessness, dizziness, insomnia, reduced sexual desire, headache, or suicidal thinking. Serotonin-norepinephrine reuptake inhibitors (SNRIs) also work by changing the balance of neurotransmitter in the brain and may be used to treat all anxiety disorders, and especially GAD. Examples include Cymbalta, which is considered a first-line treatment, and both Effexor and Pristiq, with similar efficacy. Side effects are similar to those of SSRIs. Tricyclic antidepressants also affect the balance of neurotransmitters, and are used to treat PTSD, panic disorder and GAD. They are not considered first-line treatments, although they may be effective in some patients. Examples of tricyclics include Elavil, Sinequan, and Norpramin. Side effects are numerous and may include: dry mouth, racing heartbeat, blurry vision, weight gain, and cognitive and/or memory impairment. Recent research has raised concerns of increased risk for dementia linked to long-term use of tricyclic antidepressants. Monoamine oxidase inhibitors (MAOIs) are antidepressants that work by blocking the effect of a specific brain enzyme and boosting levels of key neurotransmitters associated with elevated mood. They are not considered first- line treatments. Examples of MAOIs include Nardil, Parnate, and Marplan. Use of these medications requires consumption of a special diet to prevent hypertension, and care must be taken to prevent negative interactions with many other medications. Side effects may include cardiac arrhythmias, tremors, dizziness, headaches, drowsiness and restlessness. BuSpar works by increasing levels of serotonin, a mood-boosting neurotransmitter. It is most commonly used to treat GAD, but is not considered a first-line treatment, and is often used as an adjunct to other drugs. Side effects may include: dizziness, headaches, nervousness, insomnia, and gastrointestinal symptoms. Benzodiazepines: Though this class of drugs is highly effective against anxiety, the medications are not considered first-line therapy because of their tendency to cause dependence and addiction. They are thought to bring about relaxation and calming effects by boosting the effects of a brain chemical called GABA. 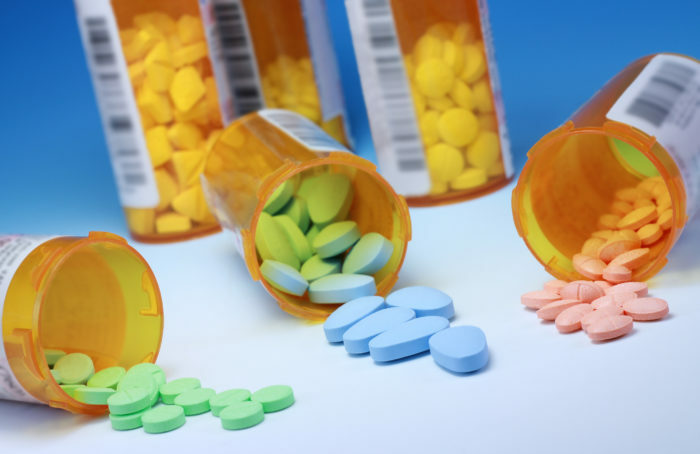 Examples of benzodiazepines include, Klonopin, Xanax, Librium, Valium, and Serax. Side effects may include: dependence, drowsiness, dizziness, nausea, blurred vision, headache, confusion, fatigue, and memory difficulties. antidepressants, antidepressants for anxiety, anxiety, anxiety disorder, anxiety disorders, anxiety research, anxiety symptoms, blurred vision headache, brain, caffeine, celexa, dementia, diet, dizziness, feelings of anxiety, gaba, gad, gastrointestinal, generalized anxiety, generalized anxiety disorder, glucose, headaches, herbal supplements, hypertension, insomnia 2, lemon balm, lexapro, memory, memory impairment, mood, muscle, muscle tension, nervousness, neurotransmitter, norpramin, panic disorder, passionflower, paxil, post traumatic stress disorder, ptsd, selective serotonin reuptake inhibitors, serotonin, serotonin reuptake, serotonin reuptake inhibitors, severe anxiety, shortness of breath, side effects, social anxiety, social anxiety disorder, stress, supplements, tricyclic antidepressants, weight gain, zoloft.